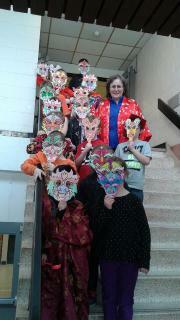 Mrs. Yorke’s Grade 2 class at Parrsboro Regional Elementary School celebrated the Chinese New Year on February 8th. Chinese New Year is the first day of the Chinese lunar calendar. Though the date is different every year, it always falls between January 21st and February 20th.